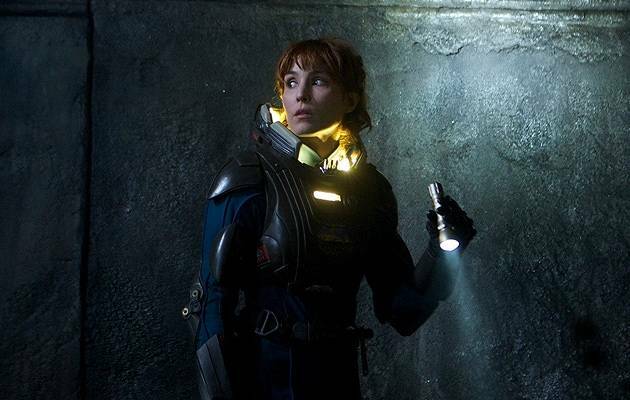 Legendary Pictures has secured Noomi Rapace to co-star with Will Smith in its adaptation of Marcus Sakey’s sci-fi thriller novel Brilliance. Legendary (no pun intended) action/adventure screenwriter David Koepp has adapted the novel, the first of three that, if successful, could spawn a trilogy. Brilliance tells the futuristic story of a federal agent and master hunter Nick Cooper, played by Smith, who is one of the 1% of unique people with special gifts. Cooper must track down a talented terrorist hell-bent on starting a civil war. Smith had been circling his role as previously reported here. It seems he and Legendary finally sealed his deal just recently and it wasn’t long after that Legendary brought on Rapace to join him. Originally from Sweden, Rapace burst on to the scene as Lisbeth Salander in the original adaptation of Stieg Larsson’s mystery thriller novel The Girl With The Dragon Tattoo (2009), achieving international stardom in the process. Shortly afterwards, she racked up a couple of high profile movie gigs, starting with Guy Ritchie who cast her alongside Robert Downey Jr. in 2011’s Sherlock Holmes: A Game Of Shadows. She appeared the following year in Ridley Scott’s high profile Alien prequel Prometheus, followed by Brian De Palma’s crime drama Passion. Rapace has been slowly and steadily adding more feathers in her cap of high profile movie roles. She is currently in pre-production on a number of other films, including Scott’s Prometheus 2. Scott is currently in post-production as a producer of another film, drama/thriller Child 44, also starring Rapace alongside Tom Hardy and Gary Oldman, due out some time later this year. The extent of her role in Brilliance is still unknown, as this is clearly a Smith star vehicle. We can surely expect more details to follow in the next few months as the project draws nearer to production. The trilogy potential of the project certainly bodes well for Rapace to continue her rise, and in any case, we’re betting that the opportunity to star alongside Smith won’t hurt her career, to say the least. Rapace’s next appearance will be in Fox’s The Drop, also starring Tom Hardy and the late James Gandolfini, due to bow in theaters September 19.